Their appearance and behavior is very much similar to Gannet which can be found along the coasts of big oceans. 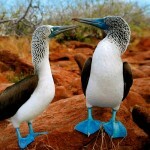 Booby birds spend most of their time near to seas and oceans and these birds have their own distinguishable features. They can fly at a speed of 97kmph or 60mph which is very fast compared to several other birds. If you want to visit booby birds, visit Salton Sea in California. If you are lucky, you can surely have a look at them. 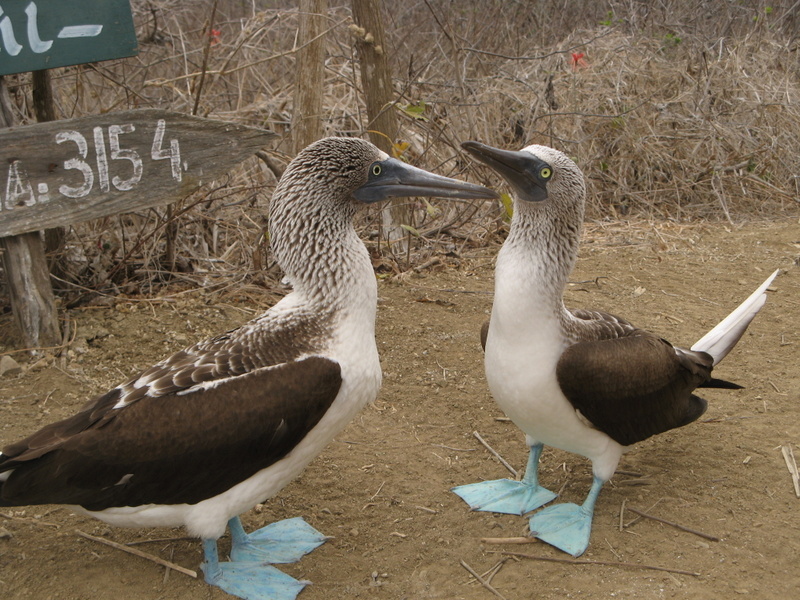 Male and female booby birds look almost similar. In general, the eye pupils of female birds are bigger than males and appear in star shape. 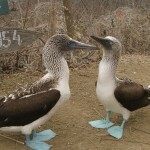 It is easy to distinguish males and females booby birds by their voice. 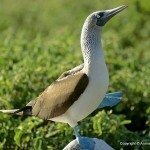 Male booby bird’s soft whistle is different from honk sound produced by females. 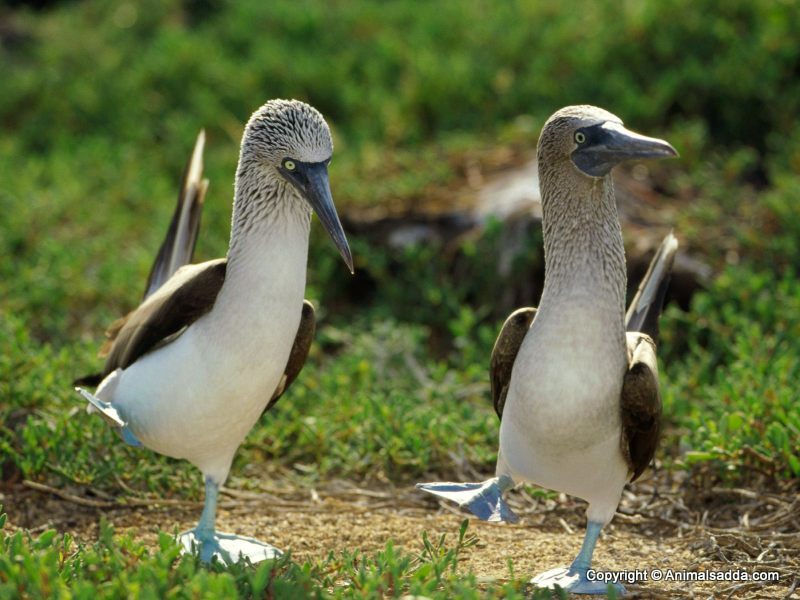 Booby birds hunt alone or in pairs or as a group. Some believe that booby bird’sflock appears very clumsy and that’s the reason why the word “bubi” (stupid in Spanish) became popular in their nomenclature. They have a habit of landing on ships while searching for food. Because of this stupid (bubi in Spanish) nature, they easily got captured and eaten by sailors and this foolish behavior made them popular as booby birds. 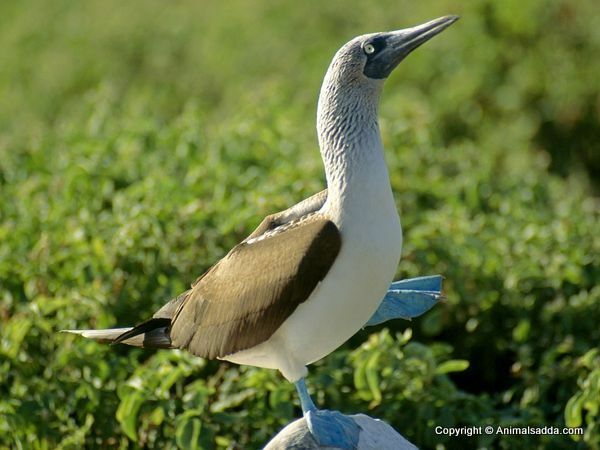 Of all the booby birds, the masked booby birds are biggest and the blue footed booby birds come in second position. 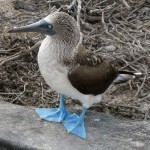 The brown booby variety is the smallest of the all the booby bird varieties. 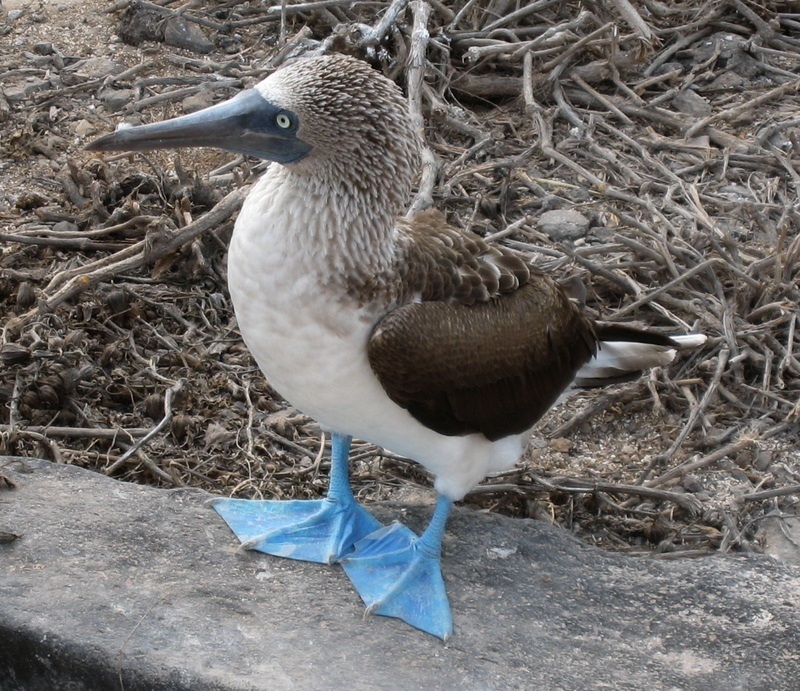 Red footed booty and Blue footed booby are named based on their foot color. Peruvian booby as the name itself suggests, commonly seen in Peru region and Nazca booby looks spectacular withyellow or orange color beak. They utilize their body shape well while diving and their exceptional eye sight helps immensely in locating the fish. They usually lay 1 to 3 eggs and the incubation period is 4 to 5 weeks. As they live near to oceans, they depend on seas or oceans for their food. 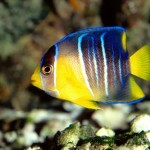 Most of their diet consists of small fish that are commonly available in seas and oceans. 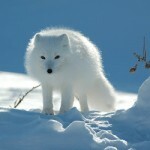 They hunt during day time and they often travel very long distances in search of food. These birds are considered as marine bird. They are found in North West South America. They build their nests to keep safe and warm. 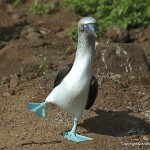 The name, booby itself signifies their behavior. 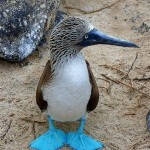 Booby (“bubi”) means stupid in Spanish language and they are known for their foolish or stupid behavior from long back. 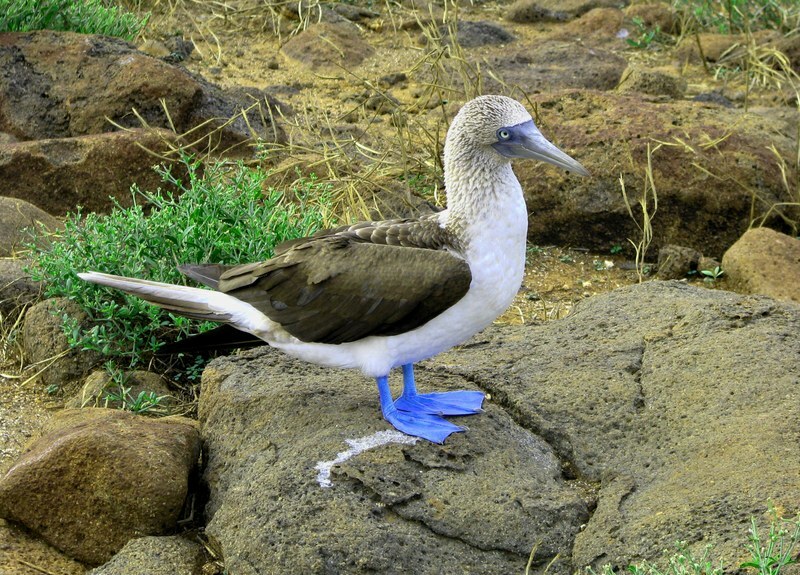 Unlike all other booby birds, blue footed booby bird won’t build nest. They lay eggs on bare sand but builds a circular wall of excrement. 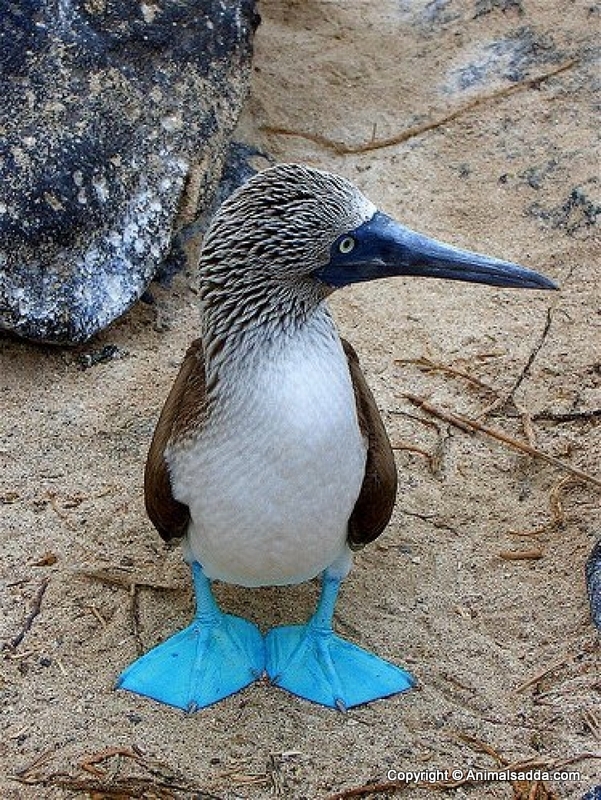 This peculiar behavior can’t be observed in any other bird.Fossil remains reveal that there are several other types of booby birds and scientists are in the opinion that most of thesebooby birds became extinct. They are timid and they always try to maintain distance from their natural predators. They fly long distances in case of any suspicious activity and return only when they are satisfied and all their doubts are cleared. They are active throughout their day. They fly long distances to collect food and it is hard to find booby birds which are more than 4kgs in weight which shows their activity levels. Their intelligence levels are low and they are hard to train. Their fish hunting tactics are of low standard compared to Gannets. These birds breed all through the year. When the eggs are laid, both the male and female take turns to incubate the eggs until they hatch. After about 40 days, the chick hatches and are fed by the parents until they grow so that they can fend for themselves. Because of their size and habitat; they don’t have any natural predators. Young booby birds are often become prey from big birds like eagle, owl etc. 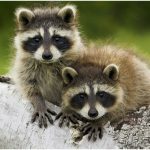 The ecological destruction caused by humans is severely affecting their population but they are in least concerned category on ICUN Red list. As said before, they usually lay 1 to 3 eggs. The incubation period is 4 to 5 weeks. 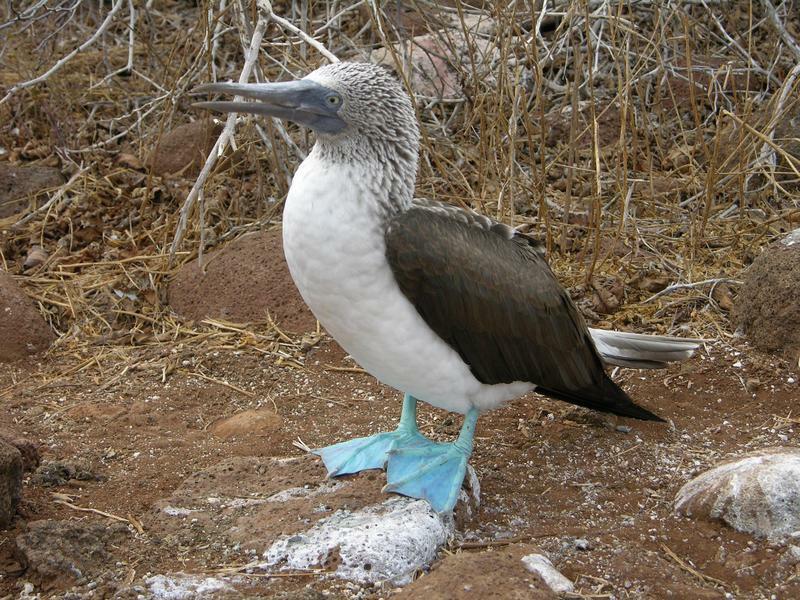 Booby birds are categorized into six different subspecies. Their color and appearance change based on the category to which they belong to. 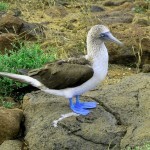 In general, boobies can be easily recognized because of their narrow, pointed wings and wing linings.Their body, neck and tail are long compared to other sea birds. 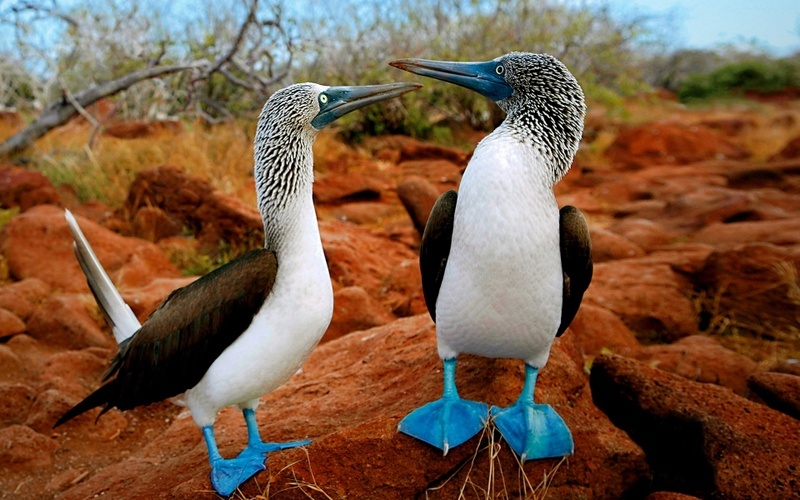 In general, female booby birds are larger than male birds. They weigh in between 1 to 2kgs and they are 25 to 36inches in size (wings folded). Based on the color of their foot and their facial color; they are categorized into 6 groups. The colors vary from brown, black, red, white and grey. Their long wings enable them to fly long distance effortlessly and their body shape is developed in such a way that they won’t get hurt even after hitting sea bed with higher speeds (while diving). The booby can live up to 17 years. Most die from harsh weather conditions. They may live around the waters all their lives. Researchers didn’t put enough efforts to know about these birds till now and that’s the reason why the diseases that are common in these birds are not yet known. Their average life span is in between 12-17 years. 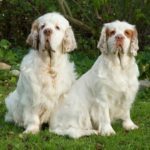 They don’t need any external grooming and they look better without any grooming also. Even persons working in professional grooming saloons face difficulties in groomingthem. This bird rarely sheds. Its feathers are the main source of warmth and heating on cold days. It may loose a few feathers when sick. The full name is Booby. Scientists prefer the name SulaNebouxii instead of Booby. They are native to western coasts of Central and South America. They are large water birds. They belong to Sulidae family. 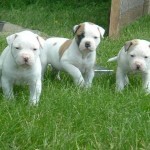 Their life expectancy is in the range of 12-17 years. They are emotional and protective. 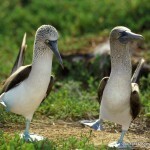 Female booby bird’s size is in the range of 64 – 91cms. Male birds are of same size but their wing span is close to 130 – 155cms. They weight in the range of 2 to 4.5 pounds. 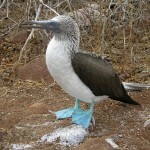 Booby birds can be seen in brown, black, white and grey colors.